For 11 years, Saratoga High School's cross country and track and field competitors were learning from the best. They had the benefit of not only learning from one of the top coaches in the nation but also a stellar role model who cared about the complete person—body, mind and spirit. Last week, though, Saratoga coach Marshall Clark died of an apparent massive heart attack while running with his team during cross country practice Sept. 30. He was 69. Saratoga High School will hold a memorial service for Clark Oct. 12 at 4 p.m. at the school's gymnasium, and the community is welcome. 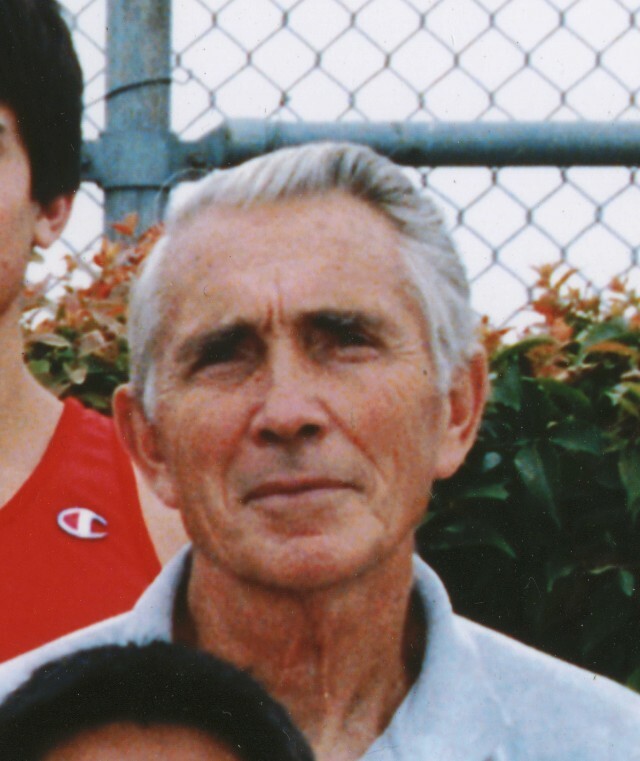 In lieu of flowers, the family requests donations be made to the Marshall Clark Track and Cross Country Fund, c/o Saratoga High School, 203000 Herriman Ave., Saratoga 95070. Clark began his coaching career in 1958 and spent nine years at Los Altos High School in Southern California. He then coached for a year at Seaside High School before heading to Stanford University, where he spent more than 10 years helping to turn the program into a national powerhouse. While there, he served as the coach for the U.S. National Track Team at the 1972 International Indoor Meet in Moscow. Clark coached two years at the University of Montana and then returned to the Bay Area to coach at San José State University for eight years. Clark served on the National Federation's Interscholastic Coaches Association, the U.S. State Department's Subcommittee on Education and as an advisor to India's Sports Authority. Clark coached female as well as male athletes. "Often coaches do one or the other, but he coached both, and that is no small thing," said daughter Shannon Clark. Clark was not only able to coach others to greatness, he was also a top performer on the track himself. He ran for USC in the early 1950s. At age 27 he was the half-mile anchor on the Southern California Striders' relay team that posted the third-fastest sprint medley time in the world. Although Clark was still setting records in middle age, some of the details concerning his winning and accomplishments are fuzzy at best. This is due, as his son Richard Clark has said, to Clark's only fault—not being a self-promoter. "He was so humble, he didn't keep records of his own accomplishments," said Clark's son. After his time at San José State, he planned to retire, but found "he just couldn't. His experience with the athletes enriched his life—they were what his whole life was about," said his wife, Carol Clark. Instead, he went to Saratoga High School, and, according to principal Kevin Skelly, asked if they needed a track coach. "I don't think that there is a finer man around," said Skelly. "He was a great coach; he cared about kids. He died doing the thing that he loved the most. "Coach Clark was more than our high school deserved in terms of dedication. The guy's a legend." Clark did the same thing at Saratoga as he did at Stanford—he mapped out running courses, provided extensive team statistics for every meet and boosted the runners' love of running. "He wasn't there for money; he was there because he loved kids," said Debbie Follmar, mother of Saratoga's star cross country runner, Alicia Follmar. "I can picture his face with his huge smile. Whether they were the fastest or the slowest, he gave them the same attention. He didn't judge; he just wanted to help you run. He was unbelievable." Follmar attributes to Clark her daughter's status as the fastest Saratoga High female runner ever. She says that the team has renamed Saratoga's Upper Hill Drive—on Clark's uphill practice route—Marshall Hill in Clark's honor. "His focus was not only to have a winning team but to bring out the best in everyone," said Carol Clark. "He was deeply interested in what other people were doing in their lives." Tim Fox, a member of the University of Montana track team 24 years ago, vividly remembers how Clark improved his running and made a lifelong impact on him. "It takes an uncommon coach to bring out the best in a common athlete," said Fox. "Coach Clark was that uncommon man. He had a knack for bringing out the best in his athletes, both on and off the track. I shall miss him greatly." Track was Clark's life, and he shared that joy with his entire family. All of his children were runners through high school and college and still pursue it in their leisure time. "He never pushed us to do anything. He was always supportive of what we wanted," said daughter Stacey Clark. "He was just an amazing person." Clark is survived by his wife, Carol; son, Richard; daughters Stacey and Shannon; stepdaughters Jacqueline and Michelle DeCamara; and six grandchildren.